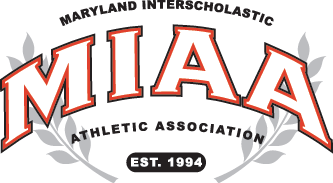 The two top teams in the MIAA B Conference baseball standings both remained unbeaten in league play, Thursday, as BL routed Park School, 14-5, and GCS went on the road to defeat Annapolis Area Christian, 6-3. Boys’ Latin (7-2) improved to 4-0 in the B Conference, while Glenelg Country moved to 3-0, with all of its games coming in league play. The Dragons will host the Lakers on Saturday (1:00 p.m.), weather permitting, for the first two meetings between the teams this year. Against Park, Matt Letterman powered the Lakers with three hits in four trips. He drove in four runs and scored two. Sam Grace had a double and three RBI. The Lakers also got doubles from Jackson Gazin (2-for-3, 2 runs, 2 RBI), Josh Butler (2 RBI), Lutterman and Travis Smith (2 hits, 1 run). Liam Karey was the winning pitcher as he scattered seven hits and four runs over five innings. For Glenelg Country, Tyler Russo pitched six strong innings to secure the victory over AACS, at Joe Cannon Stadium. Russo fanned 10 and allowed only two base hits and two unearned runs in six innings. Cole Sterry pitched the seventh inning, holding the lead and earning the save. Russo and Michael Fagan had two hits apiece and Sterry and Marcus Khademi each had two RBI to lead the Dragons at the plate. Also in the B Conference on Thursday, St. John’s Catholic Prep, which sits right behind the Lakers in the conference standings with a 4-1 mark, defeated Severn, 10-0, in five innings. Nine of the Vikings’ runs came in a second inning outburst as Seth McRoberts, Zach Barberich, Andres Enriquez, Ricke Streett and Joshua Brandt all contributed in the big inning with RBI’s. Barberich had the key blow, a three-run triple that put SJCP on the board. On the mound, St. John’s got a complete game, one-hit shutout from ace AJ Javitt, who struck out nine in the five inning contest.